Working with struggling students is difficult. Nonetheless, one of the signs of a great math teacher is to be able to reach students no matter what level they are at: struggling, average, or superstar. 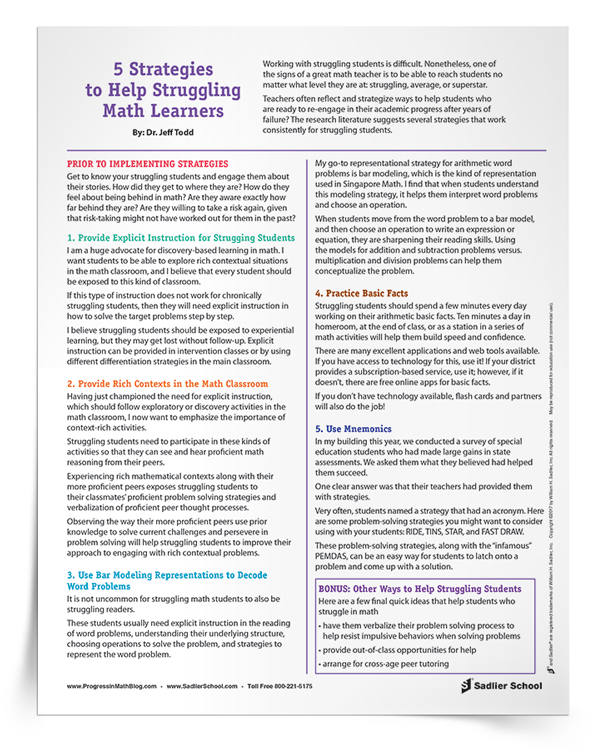 Download a tip sheet that outlines five strategies that work consistently for struggling students. Fill out the form to download the 5 Strategies to Help Struggling Math Learners Tip Sheet now.